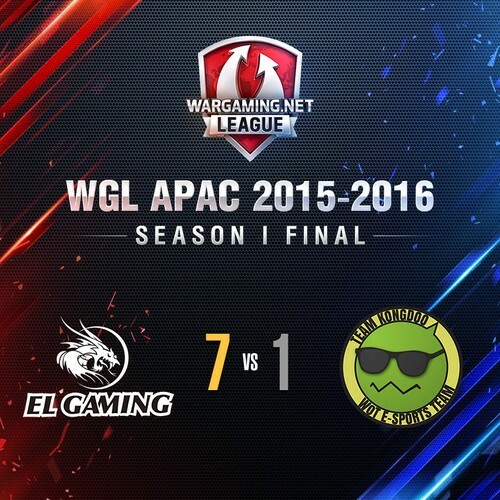 Your WGL APAC Season I Finals 2015-2016 Champions, EL Gaming! 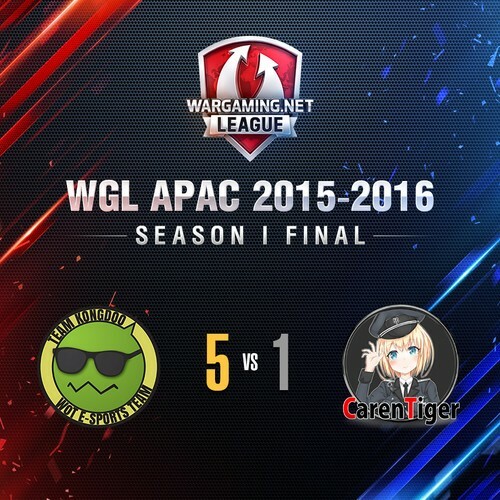 The WGL APAC Season I Finals 2015 – 2016 has come to an end, and Asia’s EL Gaming has emerged champion of APAC at last! Having finally defeated thrice-winners KONGDOO for the first time with a solid score of 7-1, EL Gaming went home with the top prize of USD 60,000, the victor’s title, and their heads held high. Get the lowdown on this historic moment with the recaps below! RefornGaming gave established veterans EL Gaming quite a run for their money this round, catching them off guard several times and rallying nicely from a dangerous autoloader cooldown situation in game 5. By the start of game 8 on Ghost Town, RG was just a step behind their opponents with a score of 4-3, and it looked like the match might go to a tie-breaker. But EL’s focus fire skills saved the day for them and put them through to the Finals, 5-3. Caren Tiger got things off to a promising start by taking the first round of the match, but their subsequent precarious tank picks – most notably in game 3, where they decided to have themselves an AMX party – proved to be a losing hand against returning champs KONGDOO. Despite a somewhat lacklustre final result, CT and their risky strategies were certainly a joy to witness. Too many epic moments in this match to mention in one short paragraph – captain RG_Yu taking amazing potshots from his FV304 at CT_Dekomori_Sanae, while RG_M1 pinned him down with cover fire across the water on Lakeville, each doing a total of 2000HP damage; CT_ope1isk seemingly taking that as a challenge and showcasing his peerless arty skills by slamming RG_Yu with a 1000-HP shot; CT_Renno_JP putting a nail-biting finish on the final round by sneaking up on RG_M1 and striking while he looked the other way – definitely a must-watch. The game-clinching surprise blockade by EL Gaming at the bottom of the hill on Himmelsdorf was perhaps the perfect metaphor for this match – a complete shock and an utter bloodbath for KONGDOO. 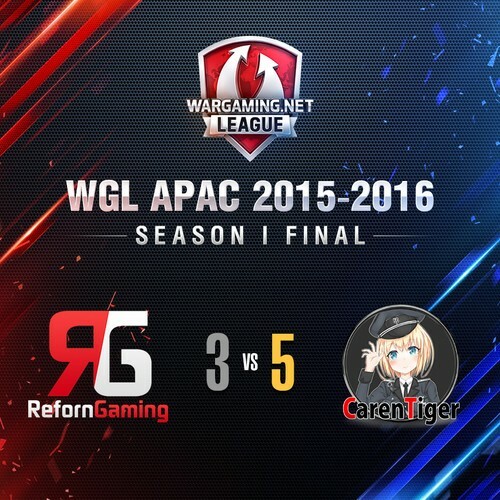 EL Gaming were on fire today, outwitting and outplaying their arch-rivals at every turn. With NICE_EL_CN blocking shots in his T32 like a boss, and Reflection_EL_CN making remarkable use of a discreetly-positioned bush on Steppes, this match was a demonstration of strategic WoT play at its finest. 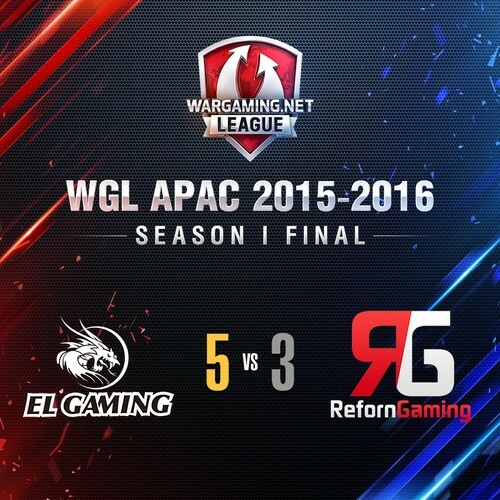 Congrats to EL Gaming, your new APAC champions! See you again next season!